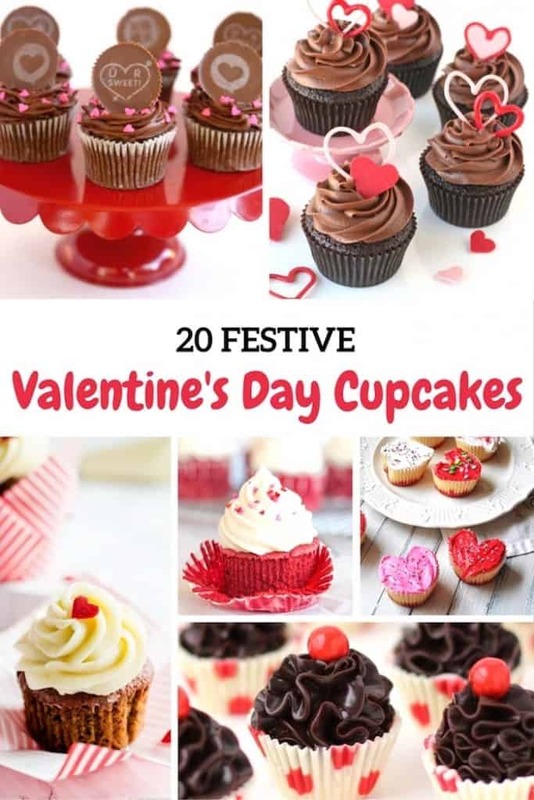 The BEST Valentines Day Cupcakes to bake and all of these are blogger tested and highly rated. 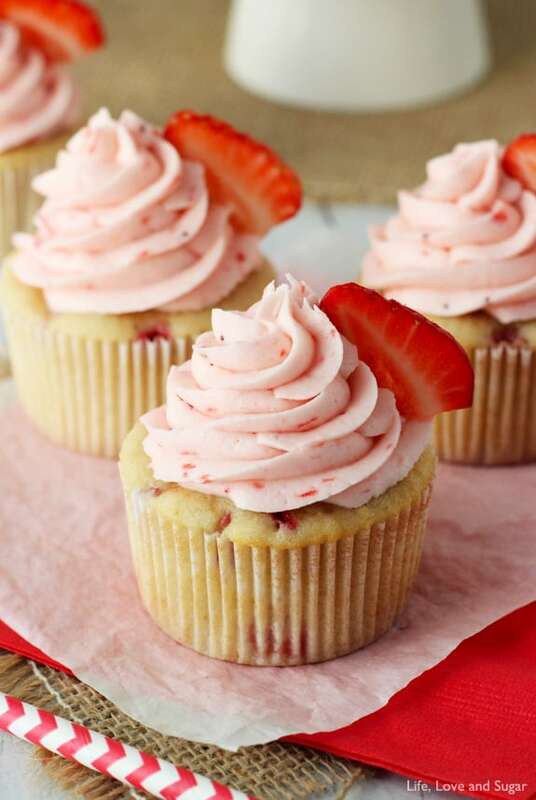 You can’t go wrong with cupcakes for Valentine’s Day! Cupcake baking is so easy and satisfying and I feel as if it’s built in portion control, just as long as you don’t eat the whole dozen at once:-). 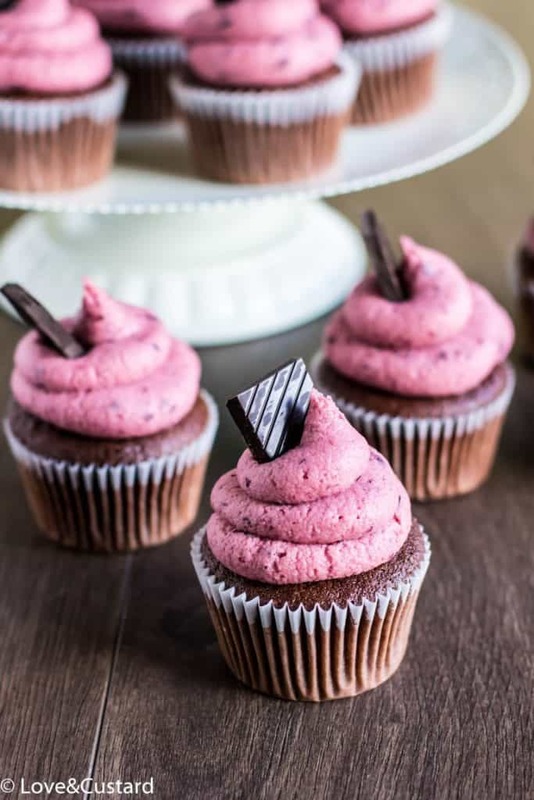 Cupcakes are the ultimate versatile dessert and I’ve served them over the years at a variety of gatherings from birthday parties (the obvious), to dinner parties with friends to Girl Scouts back when I was a Girl Scout leader with my daughter’s troop. You can go the route of baking from scratch or use a boxed mix and the add-ins are endless! My own favorites are generally of the chocolate variety and I love a good chocolate overload with something like double chocolate chip. Bake them in a pretty decorative pink wrapper, serve with some candy tossed on the table and instant party! 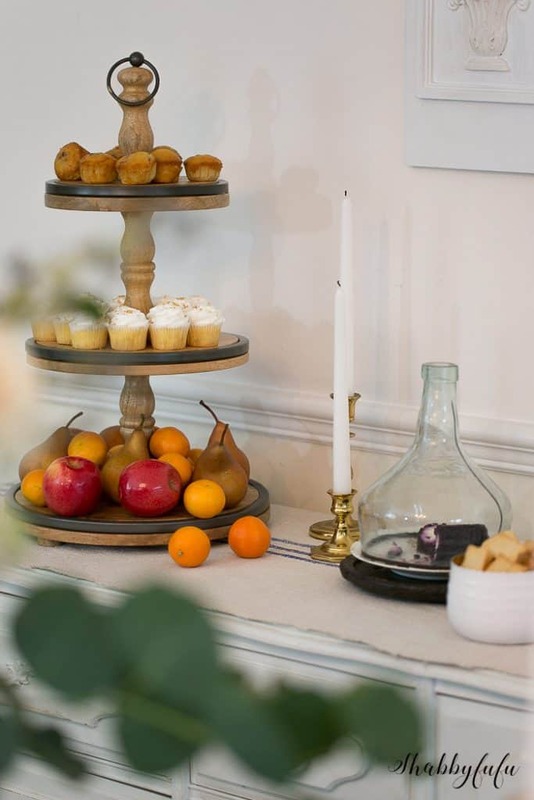 I enjoy baking and serving mini cupcakes, and for a small gathering above I styled a tiered stand with fresh fruit, bite sized muffins and mini cupcakes for guests to have a choice. Choices for guests are often appreciated and overlooked, and I try and give my guests several options. Flavor combinations like chocolate and cherry take your taste buds to a new level, like these from Love & Custard. 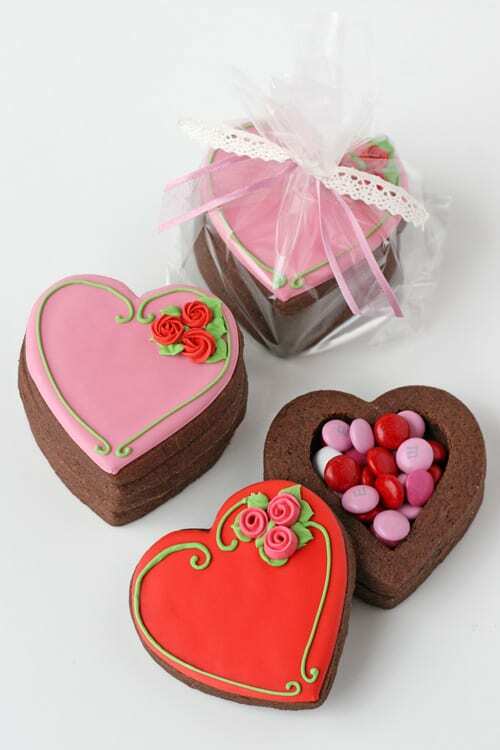 While not traditional cupcakes by any stretch, these Valentine’s Heart Box Cookies from Glorious Treats have to be one of the cutest Valentine’s Day desserts that I’ve ever seen! Glory Albin also has an incredible cookbook called GLORIOUS LAYERED DESSERTS (affiliate) with much more to check out! For some great Valentine’s Day decorating tips, don’t miss the ” 20 Beautiful Valentines Mantel Ideas ” post!